Labor Day Weekend is for everyone. Labor Day was created to pay tribute to the achievements made by American workers and to their contributions to the well being of the country. You will find many events planned for this special weekend and luckily, they are not all planned on the same day or at the same time. 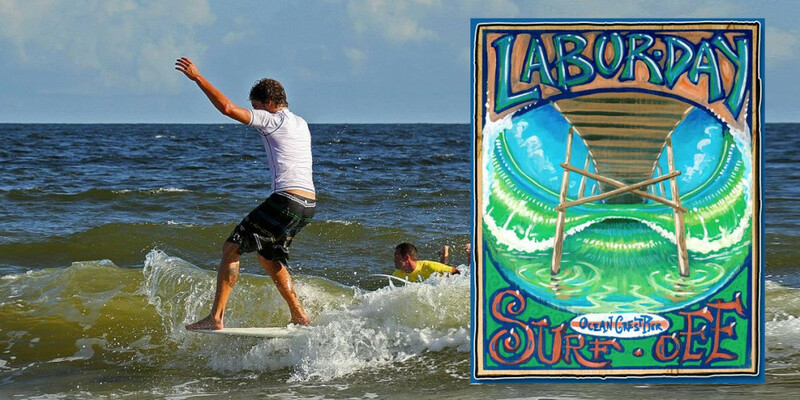 Saturday morning will start off at 8 AM with a Paddle Out for the Labor Day Surf Off at Ocean Crest Pier in Oak Island, NC, which will begin at 8:30 AM. Pre-registration is required for this event. 9 AM will kick off the Oak Island Art Guild Labor Day Arts & Crafts Festival which will run until 4 PM. This fun event will be held on the soccer field of Middleton Park and will offer a day of beautiful handcrafted items as well as food. On Sunday, you can Go Jump in the Lake, literally, in Boiling Spring Lakes, NC. There is a catch. First you have to take part in either the 5K or the 1.5 mile run/walk – then you can jump in the lake. There will be live music also, from 4 PM until 6 PM, featuring 17 South Band. The concert will be held at Spring Lake Park and food trucks will be there as well. On Monday, in Southport, NC, kids up to 14 years of age will be able to take part in the Children’s Crab Derby Registration will begin at 8:30 AM with the derby beginning at 9 AM. Prizes will be given. That will leave the rest of the day for beach time. Further south, you will find these courses. In the northern part of Brunswick County, NC, you can play golf at these locations. The Memorial Day Holiday is a good time to enjoy the freedoms afforded us by those who served our country in the armed forces – don’t forget to honor them. Southport, NC will hold two Memorial Day events on Monday, May 28. A parade will begin at 10:30 AM at the corner of 10th and Lord Streets. At 11 AM, at the end of the parade, there will be a memorial ceremony at the John N. Smith Cemetery on Leonard Street. At 2 PM the annual Days of Remembrance will be held at the Southport Community Center after which hot apple pie and ice cream will be served. Bald Head Island, NC will hold their traditional Memorial Day service at the Old Baldy Lighthouse beginning at 11:30 AM and will include music by the Village Chapel Choir. In Boiling Spring Lakes, NC you can attend a Memorial Day Service at VFW Post 10400, 3161 George II Highway, beginning at 11 AM. Today, May 24, you can experience the music of The Tams at the Brunswick County Free Concert in Leland Municipal Park, 102 Town Hall Drive, in Leland, NC beginning at 6:30 PM. Tomorrow, Friday, May 25, beginning at 5 PM, the New York Times best selling author, Mary Alice Monroe, will be signing copies of her recent novel, Beach House Reunion, at the Silver Coast Winery in Ocean Isle Beach, NC. The story is set during the time of sea turtle nesting. This event is presented by the Pelican Book Store and cost is $7.50 which includes a free glass of wine. On Saturday and Sunday, you can enjoy the Smith Island Art League Memorial Day Show on Bald Head Island, NC. On Memorial Day you can beach it all day if you like, then head on out to Franklin Square Park in Southport, NC for Jimmy Buffet and beach music by Parrot Party at the Southport Summer Concert in Franklin Square Park. The Provision Company Spring Swing scheduled for Saturday, May 19, in Southport, NC has been postponed due to illness. If you still need plants for your yard, you might want to check out the Native Plant Seminar and Plant Sale on Friday or Saturday at the Brunswick County Government Center, Building N, 25 Referendum Drive in Bolivia, NC. The seminar will begin at 8:30 AM both days and the plant sale will be held behind the building from 11 AM until 4 PM both days. You will find native perennials and shrubs as well as plants like Coneflowers and Black-eyed Susans. Are you interested in an Historical Southport Bicycle Tour? You can register by calling the Adventure Kayak Company, Inc. to take part on Saturday, in Southport, NC, beginning at 9 AM. The kayak company and the Maritime Museum have teamed up to offer the tour at a cost of $20 if you have your own bike, or $28 to rent a bike and helmet. Boiling Spring Lakes, NC will be holding their Spring Fling at the Lakes on Saturday from 10 AM until 3 PM with fun for the whole family. Also on Saturday, you can join hands with like minded individuals and take part in Hands Across the Sand on Oak Island, NC. This event is held to demonstrate for environmental protection for the ocean and beaches. You can meet at the gazebo on SE 48th Street at 11:30 AM and the event will be held from 12 noon until 12:15 PM. The Boiling Spring Lakes, NC Parks and Recreation Department will present Concerts at the Lake on Sunday from 4 PM until 6 PM at Spring Lake Park in Boiling Spring Lakes, NC. Music will be provided by Artistry in Jazz. On Sunday from 1 PM until 5 PM you can participate in the Oak Island, NC Beautification Club Garden Tour. This self guided driving tour will take you to eight gardens as well as the May Moore Park. The tour will begin at the Oak Island Recreation Center where refreshments will be served and tour maps will be available for the $10 fee for the tour. Also on Sunday, at 3 PM will be your last chance to enjoy Brunswick Little Theatre‘s Musical Theatre Apprentices in the production, That’s Entertainment in Southport, NC. This musical review will include popular numbers from Chicago, A Chorus Line, Something’s Rotten and more. Cost is $10 at the door. The first Friday of another month is almost upon us and it looks like the weather will cooperate, so take yourself out to the Gallery Walk from 5 PM until 7 PM in Southport, NC. The featured artist at Franklin Square Gallery will be Copper by George. George Kinley will be there with some of his wonderful copper sculptures. You may have seen him with his work displayed beside Oak Island Drive in Oak Island, NC. Ricky Evans Gallery will be featuring art books about Southport, NC and the southeastern NC coastal areas, including one with the paintings of Art Newton. This book also includes interesting stories about his life in Southport, NC. At Lantana’s you will find the work of Mary Wright, specifically her “Fences” series. The Olde Southport Village Shoppes will also feature a First Friday at the Village from 5 PM until 8 PM. If you are hungry for barbeque – have I got a for a tip for you. On Saturday, beginning at 10:30 AM you can get barbeque and all the fixin’s at the Boiling Spring Lakes Police Department. Yes, the police department. The proceeds will benefit the Small Fry Fishing Tournament coming up at the end of the month, which is sponsored by the police department. Come early – when it’s gone, it’s gone! On Saturday, you can bring your best friend to Woofstock, a Pet Party in the Park, at Franklin Square Park in Southport, NC. There is a fee of $10 which you can pay by pre-registering at: http://www.southportrotaryeveningclub.com. On-site Registration will begin at 9 AM on Saturday and events will begin at 10 AM. There will be music by Seneca Guns and the event will last until 2 PM. Proceeds will benefit Southport Rotary and PAWS Ability. Easter, as you know, is early this year – and so are the Easter Egg Hunts. Several of them will be taking place this Saturday, March 24. These include events in Southport, NC, Boiling Spring Lakes, NC, Shallotte, NC and Calabash, NC. The Southport Parks & Receration Easter Egg Hunt is actually two hunts – one at 10 AM in Franklin Square Park for ages 6 – 12, and the second will follow immediately at the Fort Johnston Garrison lawn for ages 5 and younger at . In Shallotte, NC the egg hunt will be included in the BunnyDayze event in Mulberry Park beginning at 10 AM. This event will include Easter Egg dyeing and you will have a chance to meet the Easter Bunny. The Calabash Easter Egg Hunt will begin at 11 AM in the Calabash Community Park (868 Persimmon Rd.). Bring your own basket and meet the Easter Bunny. Do you enjoy shopping? 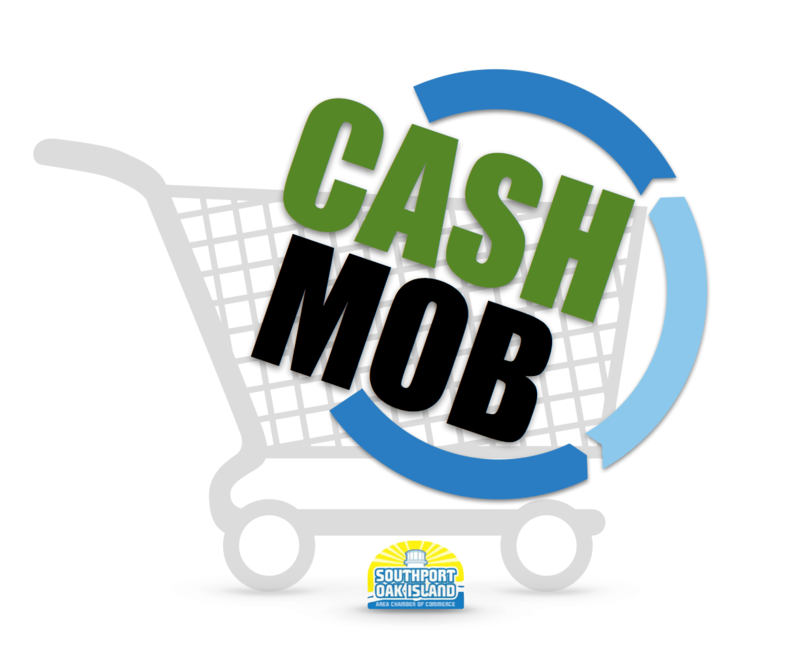 Why not take part in the March Cash Mob on Saturday? It is open to the public but you must agree to spend $20 in the shop. What shop? Ahh, that remains secret until the day of the event. The meet-up location for this event will be South Harbour Village Marina at 11 AM. After the event you can lunch with other participants at a local restaurant if you like. On Saturday and Sunday afternoons, the Sea Notes Choral Society will be singing their hearts out at Brunswick Community College Odell Williamson Auditorium in Bolivia, NC. Their Spring Concert this year is entitled ‘Unforgettable’ and will include Bridge Over Troubled Water, Rainy Days and Mondays, Feelin’ Groovy, and more Broadway and movie numbers. Doors will open at 2:15 PM and the show will begin at 3 PM. The program is free and no tickets are required.